How hard is it to live sustainably? 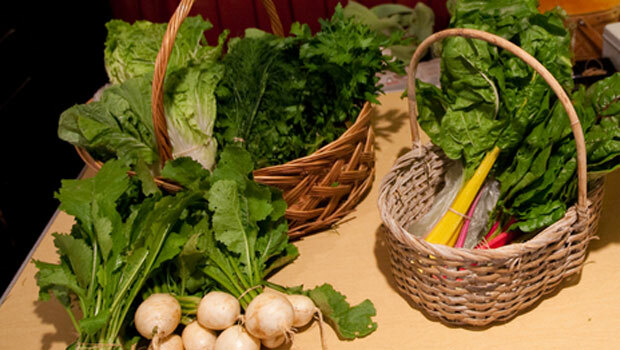 One solution seems simple: encourage people to buy locally produced seasonal food. The reality, however, is different. Are there local farmers nearby? Is the food affordable? Can the farmer afford to advertise or set up a place to sell the food? For three weeks, 23 high school students from as far away as California have been on the University’s Reynolda Campus exploring challenges related to sustainable initiatives. With the help of professors, renowned experts, owners of green businesses and one another, these students have confronted these and other complex issues from ecological, economic, political, social, and legal angles — to name a few — through Wake Forest’s LENS program. Students visited Yellow Wolf Farm to learn about sustainable farming operations and a farmers market to purchase locally grown foods for a group meal. They also visited the Yadkin River, Forsyth County’s primary water source, to meet with a representative from the local Riverkeepers chapter. Improving writing skills to communicate, test ideas and persuade others is another component of the program. Co-director Ryan Shirey, interim director of the Wake Forest Writing Center, provided one-on-one writing tutorials and collaborative workshops to help students translate their ideas into proposals for community action.